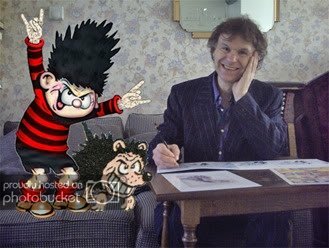 DURING a career whose beginnings are lost in the mists of time, Henry Davies has drawn (and sometimes written) the exploits of such iconic charters from The Beano and The Dandy as Desperate Dan, Dennis the Menace, Korky the Cat and the Bash Street Kids. 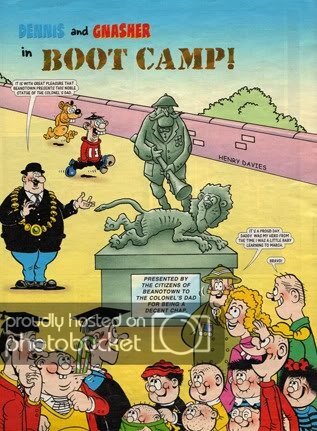 In addition his work has appeared in various other DC Thomson weeklies, among them The Beezer, The Topper and Cracker. 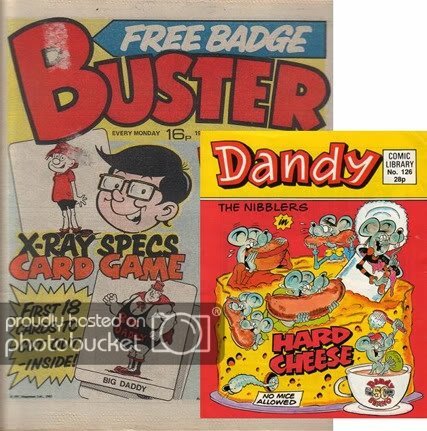 He also contributed to such Amalgamated/Fleetway/IPC comics as Buster, Knockout, Cracker, Cheeky Weekly, Whoopee! and Whizzer (both of which later merged with Whizzer and Chips), Wow! and School Fun (which was eventually absorbed by Buster). Davies – who created Grotty Lotty the School Witch for Marvel – has been a regular contributor to Private Eye for the past decade. He has also produced gag cartoons and strips for The Daily Star. Meet The Beano guys if you can. I met them at LFCC last year and they were all great. Even drawing sketches in my annual for me, a great experience.